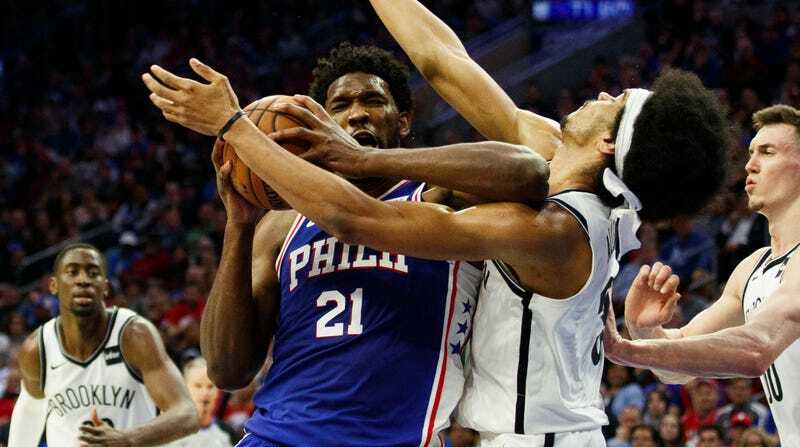 Joel Embiid got hit with a flagrant foul late in the first half of his Sixers’ eventual series-tying 145-123 win over the Nets on Monday night when he unleashed the full force of his elbow into Jarrett Allen’s neck while trying to beat him in the paint. Allen got up right away, but my goodness, that elbow looks like it could fell a California redwood. Embiid, with Ben Simmons next to him, apologized about the elbow in the post-game press conference. And then both Sixers cracked up with laughter. 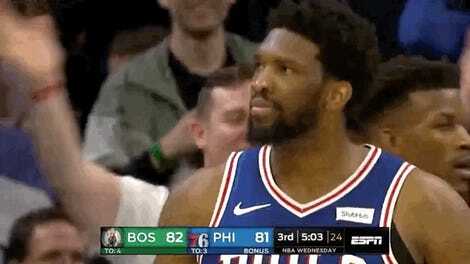 There’s probably no reason to doubt Embiid’s sincerity, but the words “I’m sorry” definitely land a little differently when they’re followed by 10 seconds of uncontrollable giggles. “I’m not usually humble, that’s why he’s laughing,” Embiid clarified about Simmons. You’ll notice, however, that Embiid doesn’t explain what he finds so funny.